Moon Studios’ sidescrolling exploration-platformer Ori and the Blind Forest captured players’ hearts when it debuted on Xbox One last year. And starting March 11, it’s getting the star treatment with the release of Ori and the Blind Forest: Definitive Edition for Xbox One, which delivers a multitude of new areas, difficulty options, and gameplay upgrades that should appeal to both new and seasoned Ori players. 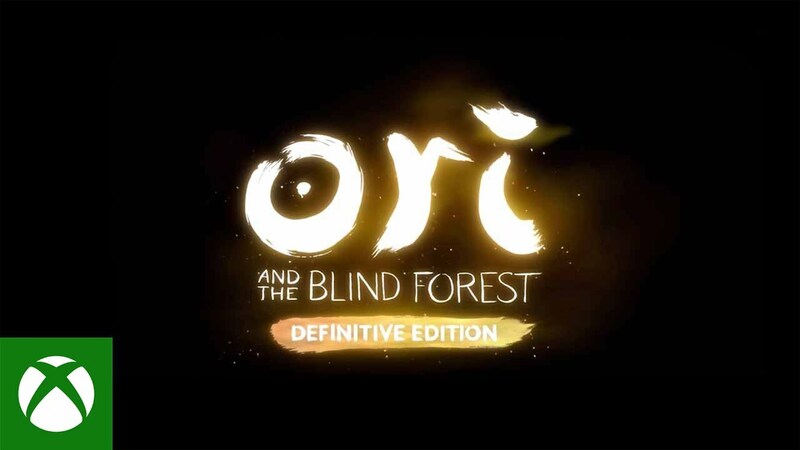 Current owners of Ori and the Blind Forest can upgrade to the Definitive Edition for $4.99, while all new players can pick up the full game for $19.99, which includes the original Ori. Fans can also purchase official merchandise at the new Ori and The Blind Forest shop. As you can see from the trailer above, it’s a lot to unpack… so we sat down with Microsoft Studios’ Mark Coates, Executive Producer, to break down what fans will discover in the Definitive Edition – and what makes Ori and the Blind Forest such a special, one-of-a-kind journey. Xbox Wire: What makes Ori such a special game? Mark Coates: Well, the incredible response from the trade media, our game development peers, and (of course!) the fans are really what made the Definitive Edition possible, and we’re so grateful for that. Not every team gets the opportunity to revisit, perfect, and add to their game in a non-linear way, so we took this very seriously. So a lot of care and attention was taken to seamlessly integrate the new content into the world of Nibel, and create the new abilities in such a way that they perfectly blended and augmented Ori’s existing skill set. Xbox Wire: What are the biggest and best additions to the Definitive Edition? Mark Coates: So much to tell! We’ve added a ton of new content in all categories of the game, including new environments, new music, new abilities, new skills, new story elements, and new features. True to the original game, the two new areas – Black Root Burrows and Lost Grove – come with a unique theme in both graphical presentation as well as play mechanics. For example, in Black Root Burrows, Moon Studios wanted to use light and darkness to challenge the player to navigate with limited visibility, and then use a light orb that the player carries to modify interactions with certain objects in the environment. Fans of the game fell in love with the characters and story in the original Ori, so in Black Root Burrows, you’ll discover new in-game cut-scenes that tell more of the background and history of the guardian figure Naru, providing context for why she is so motivated to help Ori. In addition, the player can find two new core skills in the form of Dash and Light Burst. Dash allows Ori to dash forward short distances with a tap of the Right Shoulder button. Light Burst enables Ori to toss small projectiles with a tap of the Left Shoulder button, that – when detonated – deal damage to enemies. Or, the player can instead hold the Left Shoulder button down and adjust the trajectory of the projectile with great precision. Plus, both Light Burst and Dash can be upgraded through the abilities tree! Dash, for example, can be upgraded so that dashing through enemies causes them damage… and then upgraded again so that it can be performed while in the air! Xbox Wire: Can you go into detail on some of the Definitive Edition’s new features? Mark Coates: We wanted to enable the player to access the new areas early on, because once unlocked, they truly allow the player to navigate and experience all of the game in a fresh new way. Hopefully, players will agree that we’ve maintained the same quality and craftsmanship achieved with the original Ori, but we also aimed for the new content and changes to appeal to both existing owners of the game and new players. For example, we added new difficulty settings to the game, to make it accessible to a wider range of players in terms of skill. Yes, there is now an Easy setting, in addition to Normal! Plus, we added a Hard and One-Life setting. Another cool new feature is the addition of Fast Travel; in the original game, the player would occasionally encounter Spirit Wells in fixed locations that replenished Ori’s energy and life, but now players can quickly transport themselves between found Spirit Wells in an instant. This allows players to revisit areas and collect missed items much easier. We expect that it will also create a whole new paradigm for the speedrunning community to exploit and set new records! Another really cool feature is the expanded Theater. In addition to allowing collection and viewing of cinematic cut-scenes from the game, the player can now view an assortment of promotional game trailers, concept art, and behind-the-scenes clips of very early design and story treatments. We wanted to make the Definitive Edition a celebration of sorts for our players and fans, and welcome them into the journey that we went through from the beginning to the end of the development process. All of these things make Ori very special. Xbox Wire: Looking back, are you happy with how Ori‘s unique save game system worked out? Do you have any thoughts on it? Mark Coates: Yes, absolutely. We’re really proud of the “save anywhere” system in Ori. We realized early in development of the game that we wanted Ori to be a challenging experience. We thought it important and central to the gameplay style that the player be challenged to master newly found abilities, and then employ them to progress, so as to achieve that overwhelming feeling of accomplishment. This can be frustrating when it takes multiple tries to succeed… but giving players control over where and when they saved and re-spawned really helped us get to the fun faster. It actually was the source of many design discussions and debates during development, as many other great games in the genre employ fixed save points, and balance the game around the player exploring out from these hubs. So, our solution was a bit of a risk of sorts – but in the end, it worked out really well. Xbox Wire: What would you say separates an average platform exploration game from a truly great one? Mark Coates: This is a bit subjective, but in my opinion the key ingredients are as follows. 1) An extreme attention to detail when it comes to tuning and designing the movement and control of the player character, so that nearly pixel-perfect precision can be obtained when navigating the environment. 2) Presenting new and interesting abilities to the player, in such a way that the level design is informed by the newly found abilities and requires the player to master them to progress. 3) I guess these might be separate things, but a beautiful, enthralling world combined with memorable characters and narrative to compel the player to explore it. Certainly, these are some of the key pillars that we established as goals during the development of the original Ori and the Definitive Edition. Xbox Wire: What are the challenges in making a game that maps closely to this kind of exploration structure? Mark Coates: This style of game can be quite challenging to make, which some people find surprising. There is an inherent complexity to the design of the overall world and level structure, due to the elements of re-traversal, and various changing states of character capabilities that the player goes through. Trying to build a cohesive, believable world where the temporarily blocked areas don’t feel contrived or punitive is certainly one of the challenges – and I would also put forward the challenge of creating, tuning, and balancing a wide assortment of interesting character abilities that combine and work seamlessly with one another. Both of these can take an inordinate amount of time to get just right. We knew from the beginning that we didn’t just want to add a little bit of content and extend Ori in a linear way and call it good. Instead, we wanted to truly make this the definitive edition of the game. We also wanted to provide an update about the release of the definitive edition on Steam and Windows 10. Yes, we did announce a release date of March 11th. But to make sure everyone who plays Ori and the Blind Forest: Definitive Edition gets a great experience regardless of platform, we’re taking a bit of extra time with the Windows Store and Steam versions. We will launch the Xbox One version on March 11, and will update you soon on when the other versions will launch. We can’t wait to get the final game in the hands of players and see their reaction!